Apple has now launched an official web tool to let you check if your iPhone 6s is eligible for free battery replacement. After initially acknowledging that a problem exists with certain iPhone 6s models, and subsequently setting up a repair program for affected handsets, Apple has now taken things a step further by releasing the aforementioned tool that lets device owners input their own serial number to see if they are eligible for the program. Yes, previously there was an unofficial way of checking this too and we reported about it last week, but there was no guarantee of it being 100% accurate. This Apple tool changes that with an inline serial number checker that hits Apple’s database and instantly lets the owner know if the hardware is included in the repair program, and therefore eligible for a free of charge battery replacement under the terms of the initiative. 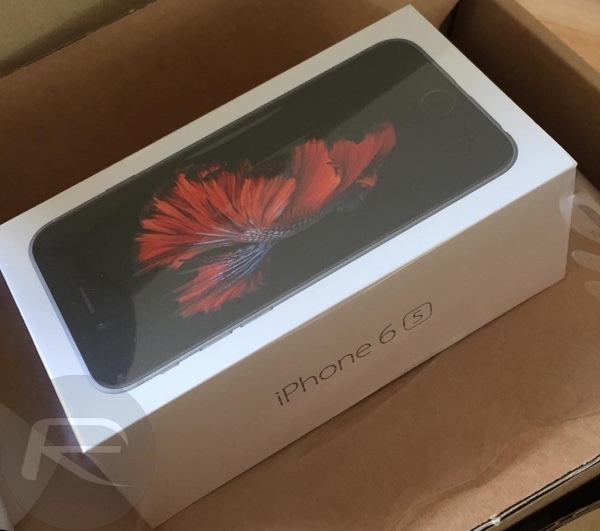 Users are invited to simply visit the updated webpage here, input the serial number of the iPhone 6s in question – which can be grabbed from the device itself from Settings > General > About – and then take the next step of actually having an Apple representative inspect and repair the device if it is found to be eligible. In order to fall in that eligibility criteria, the device must be one of the faulty batch to be manufactured during September and October 2015, which means that it was built with a faulty battery manifesting itself by forcing the device to shutdown at what appears to be random intervals. 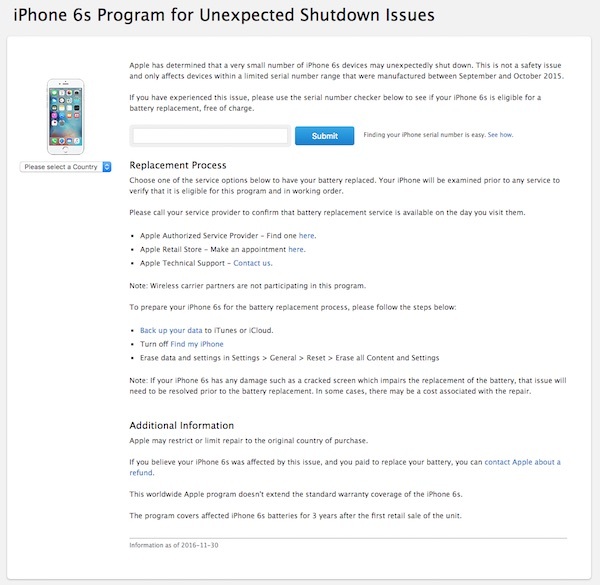 One of the great things about this dedicated repair program is that Apple has not only recognized the issue and responded to it, but has also instantly put in place a process that will hopefully take a boat load of affected devices and have them fixed, either through official channels or an authorized Apple reseller, even if out of warranty. There is a little bit of bad news however. If your device is in the faulty batch, and is therefore eligible for a replacement battery, but has suffered any external damage, such as a cracked display, then Apple would not offer battery replacement until the other problem is fixed first. The hardware needs to be in full working order, visually and mechanically to be eligible for this program. Check out the updated webpage for yourself, put in your serial number and see if you need to proceed with a replacement. I take my car to the dealer to get the transmission fixed, but they won’t fix it until the radio is first fixed. Will this scenario ever fly? Nope. Apple – always coming up with ways to make money from their faults.